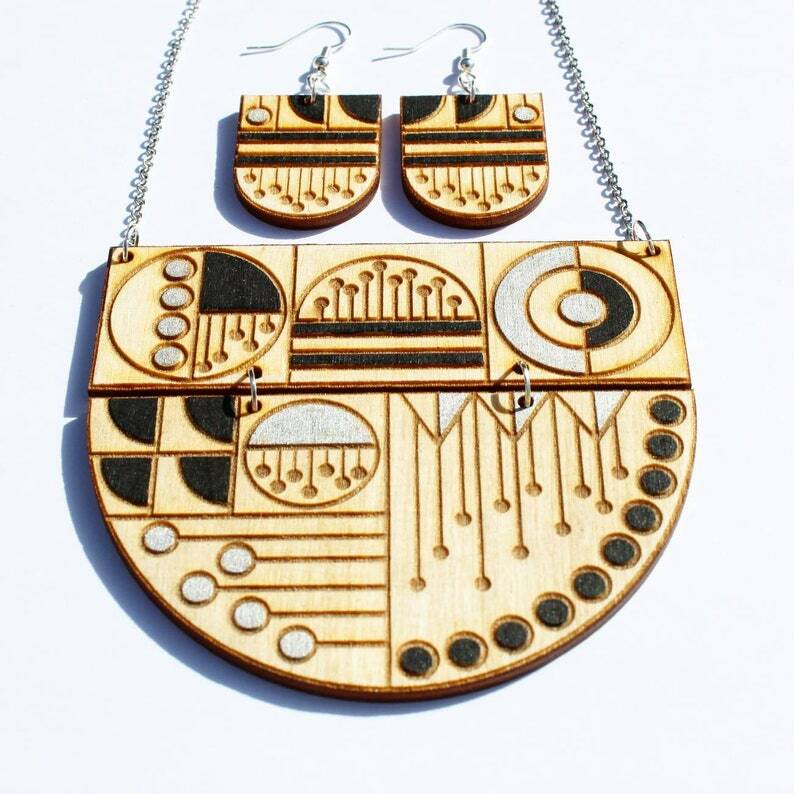 Wood scandi statement necklace & coordinating earrings. A unique wood Scandi style statement necklace; hand painted in my studio and varnished for protection. The necklace measures 9cm in diameter at it's widest point and 8cm in length. Including the chain, the necklace is 65cm in length. The earrings are 2.5cm in width at their widest point.